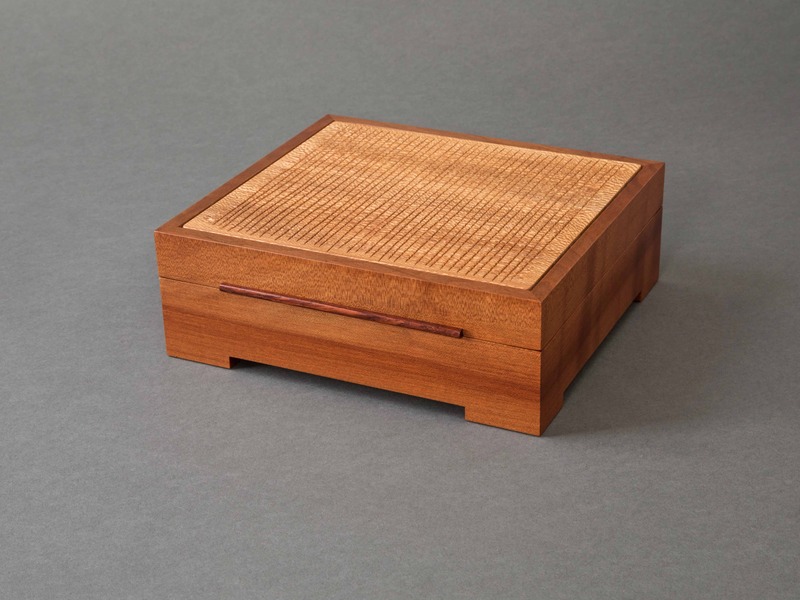 This box is made of madrone, a hardwood native to the west coast. 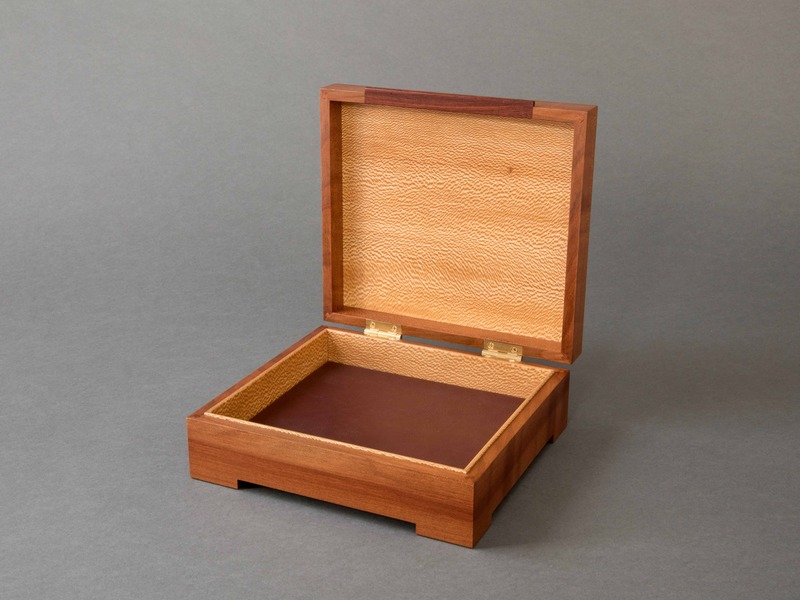 The rich reddish brown of its tight grain is complemented by the golden sycamore on the top and inside. The burgundy leather on the bottom echoes the rosewood handle. The top is carved into a freeform grid. Smooth, elegant and beautifully crafted.